We get paid to watch TV and we love it. SnapStream is a Houston-based software company that enables seamless TV workflows for hundreds of organizations worldwide. TV is our passion, whether it's in our homes or supporting our enterprise customers like The Daily Show, Last Week Tonight, the U.S. Senate and Emerson College. Our users love SnapStream and we love working with our users. Heck, you can see it in our smiling faces. SnapStream Speaker Series (Monthly): We invite smart, talented Houstonians to come share their experience, wisdom and passion with our team. It's extremely inspiring learning from the best and brightest entrepreneurs, sales people, and engineers Houston has to offer. Lennart Koopman (founder of Graylog), Adam Wulf (founder of Jotlet), Linda Spain (Houston entrepreneur and investor), and Adam Richard (Founder of Houston Bitcoin Meetup) are just a few of the speakers who have come to SnapStream. 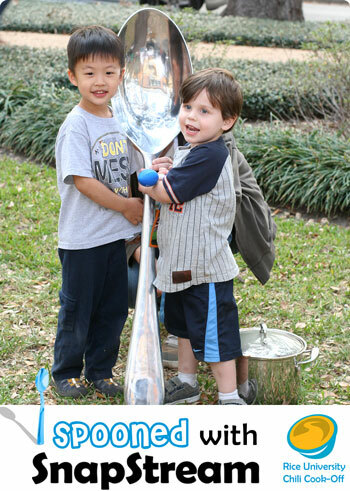 Bayou City Classic 5k: We love hanging out together even outside of work. 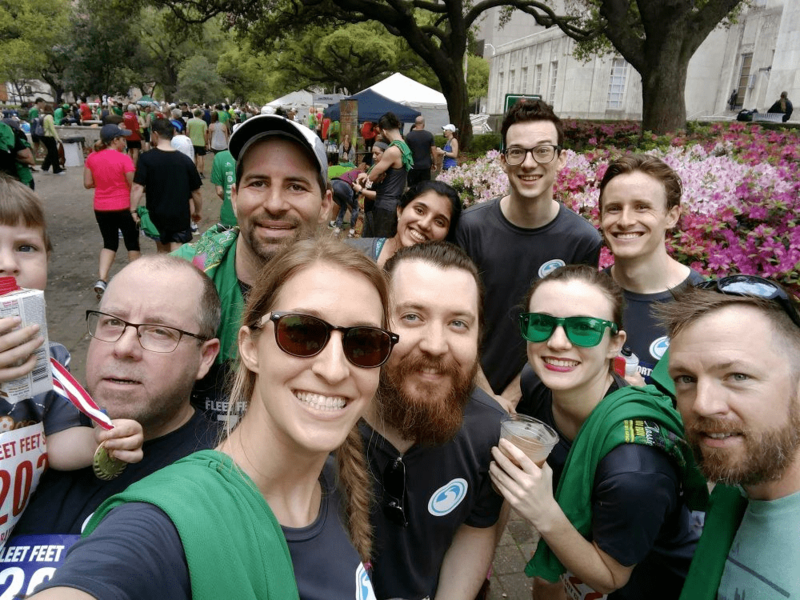 Here's team SnapStream participating in the Houston Bayou City Classic 5k. 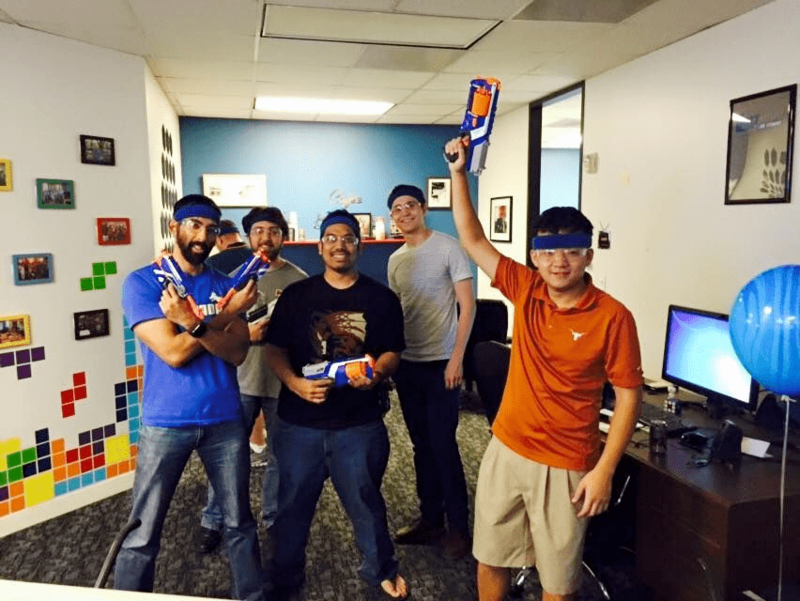 Nerf Battle: For one of our employee's 10 year anniversary, we set up a Nerf Battle in the office which included a complete obstacle course. 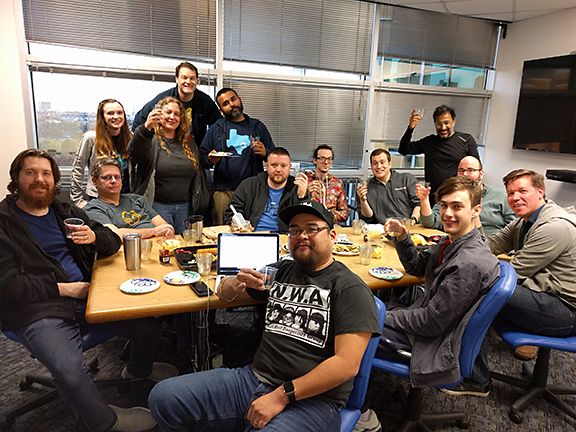 SnapStream Fun Fund (Whisky Tasting): We love to learn about many things at SnapStream, including the history of whisky! 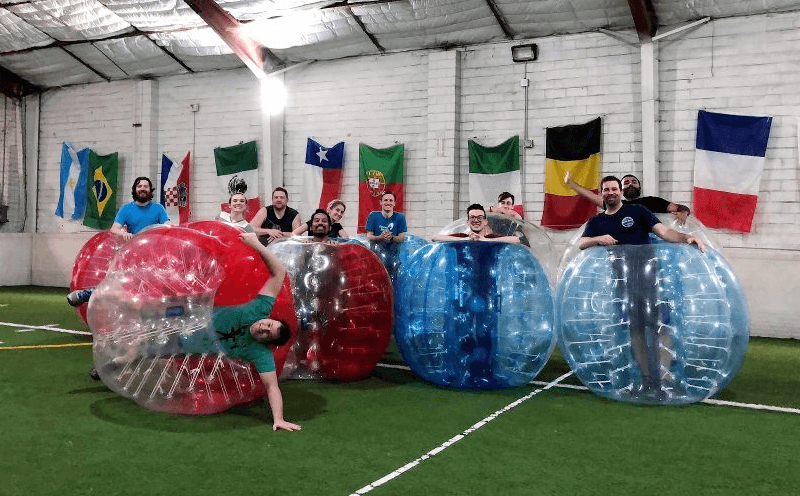 SnapStream Fun Fund (Bubble Soccer): Every month we hang out as a company and visit some cool Houston establishments. Some favorites include bubble soccer, Topgolf, bowling, karaoke and a few local breweries. 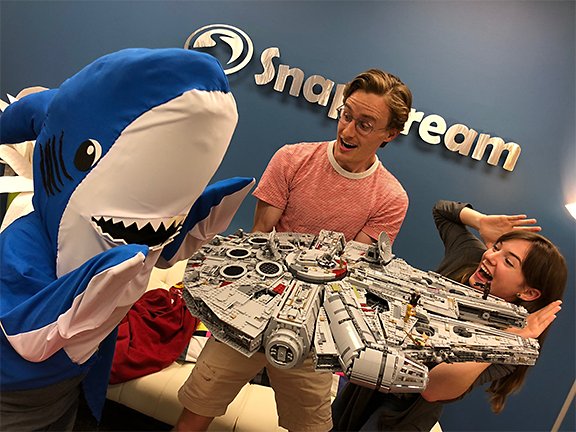 May The 4th Be With You: May 4th is not just another day here at SnapStream. Can you tell which movie this scene is from? 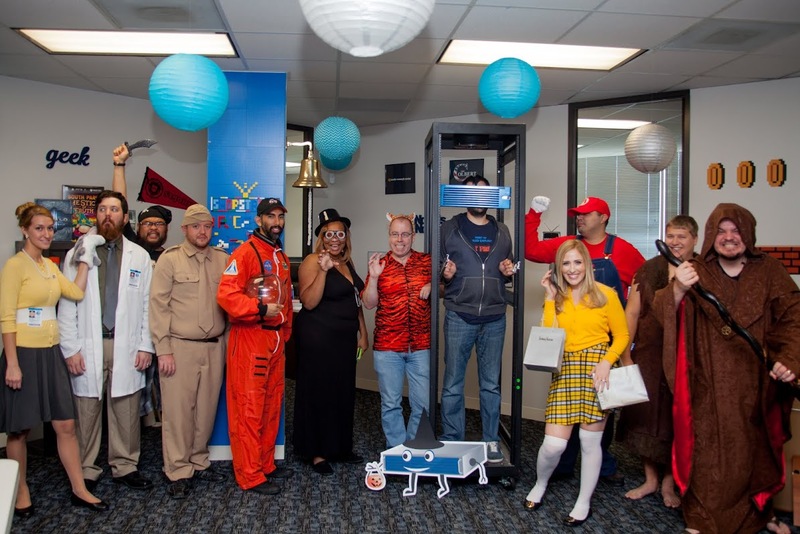 Halloween: We take Halloween seriously in the office. Even our mascot Chompy participated in the festivities! 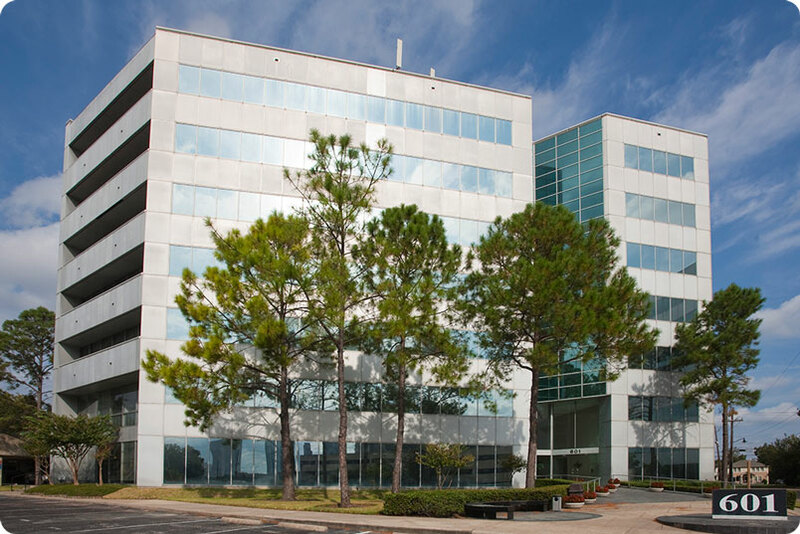 SnapStream Headquarters We moved to a brand new office in the heart of Houston's Historic Sixth Ward. We inaugurated our new headquarters with an Open House party. See pics on our Facebook page. Rice Chili Cook-off: We spooned up some summer interns at Rice University's Chili Cook-Off, a career fair of sorts. As you can see, we like to recruit 'em early! These boys will start in summer 2032. 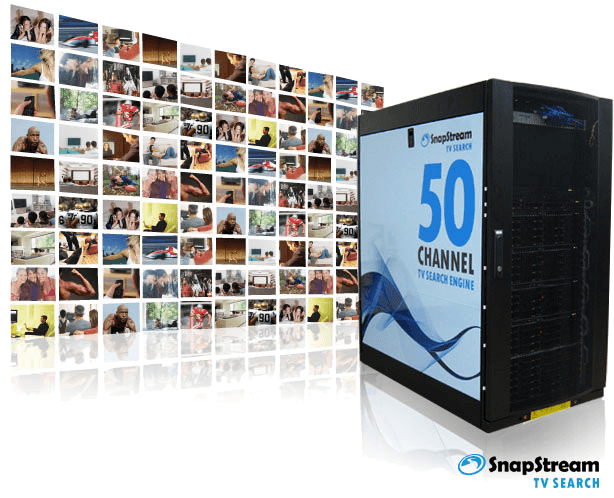 World's Largest DVR: SnapStream showcased its advanced TV recording and search technology with a 50-channel TV search engine. Our World's Largest DVR, which can archive 13 years worth of TV content, scored the praises of Engadget and Gizmodo. June 2007: The first Enterprise TV Search Appliance shipped. December 2004: Microsoft's Bill Gates, Intel's Paul Otellini and Intel's Craig Barrett showcased SnapStream's consumer product, Beyond TV, which earned PC Magazine's "Product of the Year 2004" award. 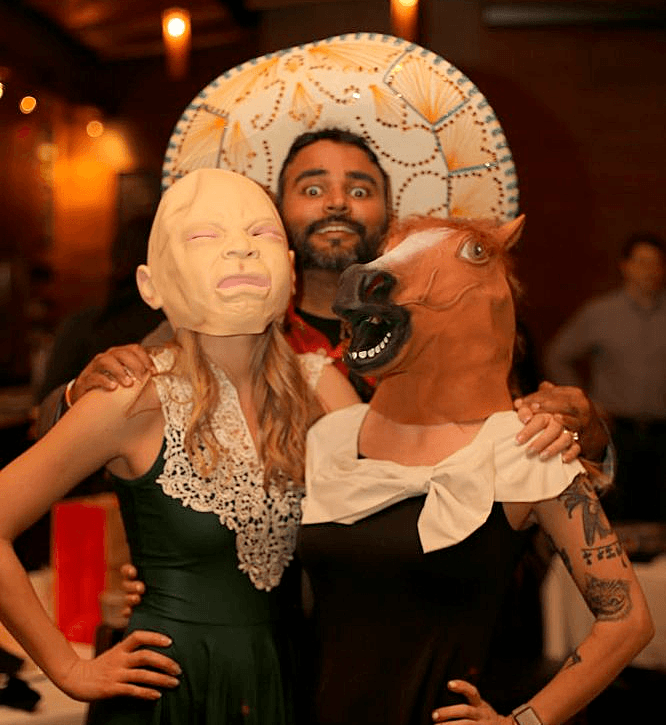 We stand out in Texas: We're a group of technophiles who love Macs, PCs, DVRs, video, anything hackable and new gadgets. Thus, we are seeking like-minded individuals to join our team. Get a taste of what it's like to work here and check out our careers page to see current openings. SnapStream's founder and CEO, Rakesh Agrawal oversees the software company's strategy, innovation and operations. 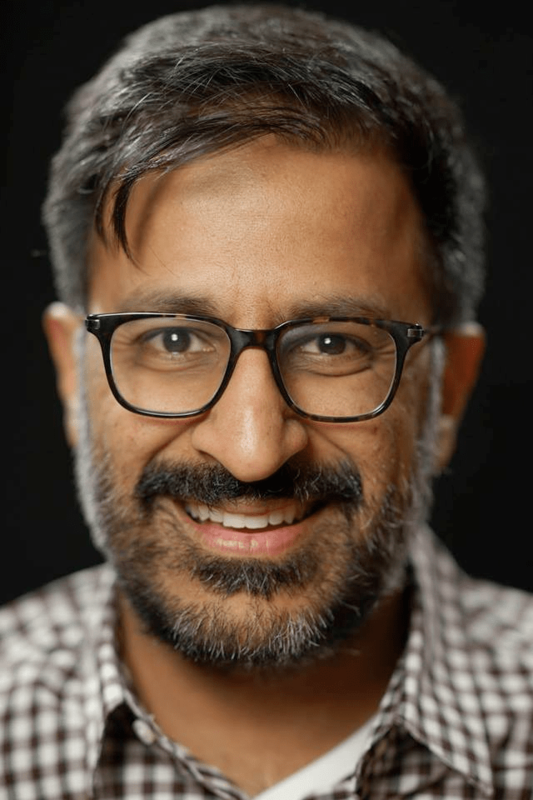 Continuing to advance the next generation of SnapStream's video capture, search and editing platform, Rakesh guides the team with expertise on software development, hardware solutions, and industry-specific workflows. Entertaining as a speaker, Rakesh frequents all sorts of technology-focused events throughout the year to educate folks on the power of TV search in their everyday jobs. Rakesh received Bachelor's degrees in Computer Science and Mechanical Engineering at Rice University in Houston, TX. Aaron Thompson, SnapStream's President, collaborates closely with the CEO, Rakesh Agrawal, to plan and execute the company's strategy. 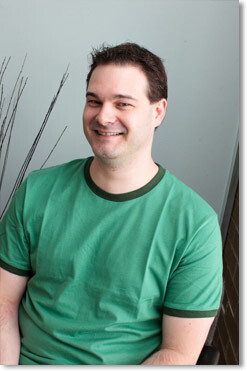 Aaron oversees the day-to-day operations at SnapStream and ensures that everyone at SnapStream is empowered to succeed. In addition to spending over 5 years on SnapStream's Development Team, Aaron has years of executive management experience and almost two decades of Software Development, Hardware Design, and IT experience. 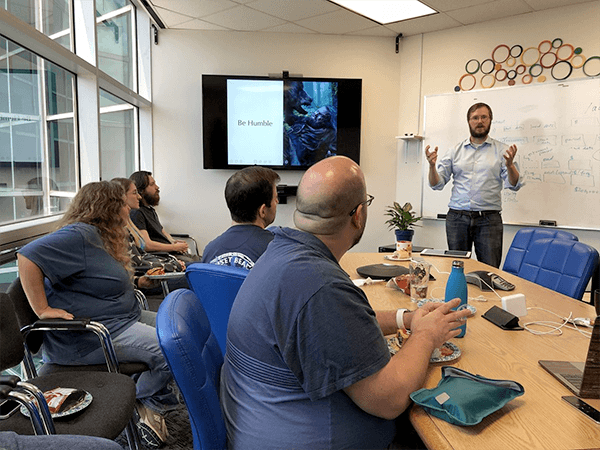 Aaron has worked at three other start-ups and small companies and has held engineering positions at IBM, Microsoft, and Compaq (before it was acquired by HP). Aaron received a Bachelor's degree in Electrical Engineering from the University of Texas at Austin.